and distribute our Korean Traditional Wine to the world. * It is believed that mankind started producing alcoholic beverages by using grains that they have harvested when they first lived a sedentary lifestyle after abandoning nomadism. * The first alcoholic drink in human history was made by the Babylonians. There is a historic record that beer was made from the fourth generation of the Egyptian Dynasty as Egypt had been peppered with the cultivation of barley thousands of years B.C. * One of the things to be noted between the Western and the Oriental origins of alcoholic beverages is that they used different ingredients; in the Western world, they used malt from barley to make alcoholic drinks, while in the Oriental world, they had been using yeast from the ancient times. It is an interesting point in terms of today’s microbiological and enzymological studies. * Alcoholic beverages that have been developed during the history of mankind are largely classified into fermented wine, spirits, and mixed alcoholic drinks. 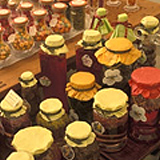 * Fermented alcoholic drink refers to fermented alcoholic wine enjoyed as is or after filtering it, such as raw rice wine (takju), beer, refined rice wine (cheongju), grape wine, and others. Spirit is an alcoholic beverage produced by distilling fermented alcoholic wine, such as soju, whisky, and others. Fermented wine is low in alcohol content and high in nutrients, and has an excellent taste and fragrance, while distilled spirit is characterized by low nutritional ingredients and has a distinct strong smell. * Mixed drink is an alcoholic beverage produced by mixing alcoholic wine with flavors, sugars, herbal roots and tree barks, fruit juices or colors, and others. Alcoholic beverages have an effect in boosting appetite as their ingredients consist of drinks, such as alcoholic substances, organic acid, taste compounds, aromatic substances, and others, and are believed to stimulate salivation and gastric fluids. In case of yakju (literally, a medicinal wine made of rice), such efficacy is particularly strong as the medicinal ingredients are absorbed into the body. A moderate amount of grape wine and medicinal alcoholic beverages before having a meal can be effective to experience such efficacy, but other drinks with high alcohol content, such as soju, whisky, brandy, and others, need to be avoided as they can cause inflammation of the stomach mucosa. 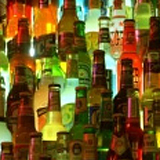 * Most of the alcoholic drinks are oxidized in the body, and some of the remaining amount is emitted through breathing. As the process of oxidization occurs in liver cells, excessive drinking can overstrain your liver, which sometimes results to a fatty liver. In this sense, there is a saying that moderate drinking is like medicine intake while excessive drinking is like poison intake. Alcohol beverage is effective in reducing fatigue, anxiety, and nervousness as well as in alleviating mental disorders caused by much stress. Many studies have found that alcoholic drinks work to relieve the physical reactions incurred by stress, and there are many people who acknowledge its effect of relieving stress. 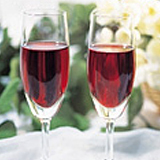 * Moderate drinking is excellent in preventing ischemic myocardial diseases, such as myocardial infarction. According to the results of a study, those who enjoy moderate drinking have lower mortality risk from cardiovascular diseases than those who never drink. Another study shows that alcoholic beverages increase the level of high-density lipoprotein (HDL), which plays a role in removing cholesterols in the blood vessels. * Every country around the world has been enjoying various kinds of alcoholic beverages according to its custom and cultural tradition. * In Korea, yakju (takju) were mostly enjoyed traditionally, but soju is consumed most of these days as if it is the most representative alcoholic beverage in Korea. 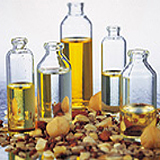 In Japan, refined rice wine is mostly consumed, while baegal is mostly enjoyed in China; vodka, in Russia; whisky, in England; grape wine (brandy), in France; and beer, in Germany. * They say that one of the many ways to evaluate the value of alcoholic beverages is to drink with the eyes (color), with the nose (fragrance), and with the mouth (taste), and enjoy the contents. Many studies and researches are ongoing in every country around the world to make excellent alcoholic drinks that meet these four factors. It is a shame that soju, which is produced by means of such simple ways as diluting alcoholic wine with water and has little to brag about compared to the traditional wine of other countries in terms of the aforementioned factors, is the most consumed alcoholic drink in Korea these days. It is lamentable that raw (unrefined) rice wine, which has a remarkable history and tradition, is in a slump. * Given the fact that unrefined rice wine has evolved to Japanese cheongju (refined rice wine) and has been globally recognized, it seems that now is the time to study and develop our traditional yakju and takju to meet the needs of the modern times and promote them more actively.